I am often asked why I am so committed to the Unity Gardens, what keeps it fresh and exciting. During the heat of the summer, when things are tugging at me in all directions, growing food, presenting the story, answering e-mails, pursuing funding, I even ask myself that question! Then, when I get too hot, too tired, or a bit discouraged, one of the garden leaders, volunteers, or harvesters will share a story that helps renew my commitment, reminding me that "we can't afford not to" share and teach people how to care for their health through fresh produce. 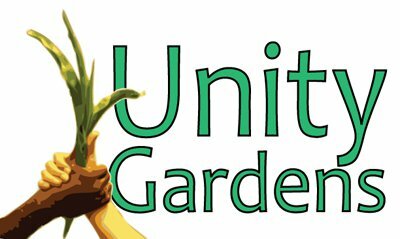 All Unity Gardens have struggles, especially first year Unity Gardens. The Unity Garden at Zion had transitions in garden leaders last year and had less community involvement than desired. The produce was mostly donated to a nearby food pantry. People within the congregation and neighborhood liked the idea of Unity Gardens, but did not fully understand the connection with the greater community. The garden was one of the last planted.